Balanced rotary seal with auto alignment design to be applied in the most of application from clean water to industrial fluids. Our company stocks the product in mass. Thus, we can cater to bulk/retail requirements with easy and ensure fast delivery of product. We own a capacious and well structured warehousing unit wherein we store the entire lot away from diverse damaging factors such as moisture, rain, sunlight and various others. We are counted amongst the most reputed names in industry presenting Pusher Seal. These are available for our clients at highly economical prices and in customized options. These seals are famous for their durability and precised construction. Quality approved, these products are widely used in several industries. 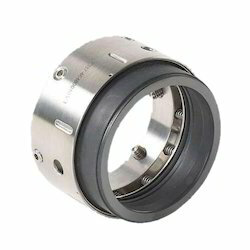 These seals can be used as single, back to back, face to face & tandem arrangement. 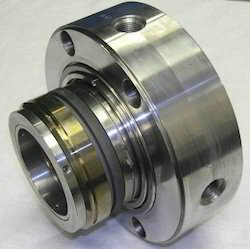 Pusher seals incorporate secondary seals, called the dynamic gasket, that are pushed by springs axially along the shaft or sleeve to compensate for seal face wear or wobble due to misalignment.